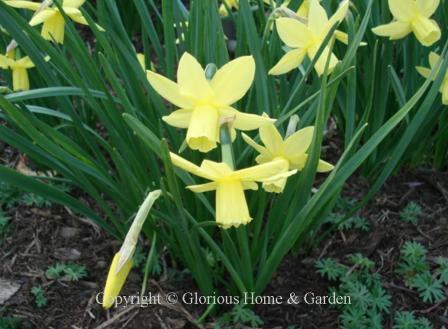 There are so many different types of daffodils that they have been officially placed into 13 divisions. 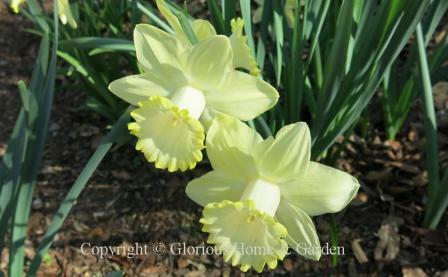 The descriptions and criteria for each division below are from the American Daffodil Society. try some of each group for a variety of colors, shapes and bloom times. 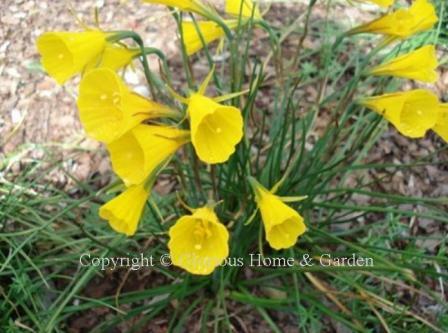 Trumpets--One flower to a stem, corona (trumpet or cup) as long or longer than the perianth segments (petals). 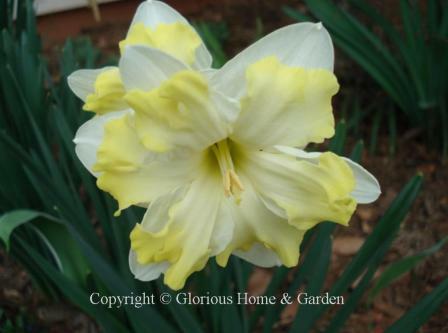 Large-Cupped Daffodils--One flower to a stem, corona (cup) more than one third but less than equal to the length of the perianth.segments (petals). 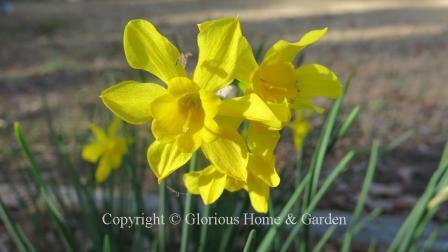 Small-Cupped Daffodils-- One flower to a stem, corona (cup) not more than one third the height of the perianth segments (petals). 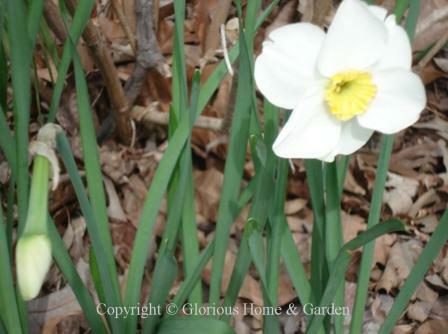 Double Daffodils-- Daffodils have a clustered cup, petals or both. There can be one or more flowers per stem. 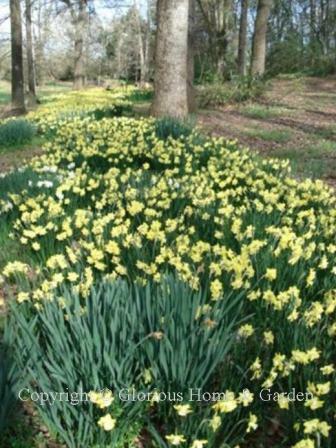 Triandrus Daffodils-- Usually more than one flower to a stem, head drooping, perianth segments often reflexed and of silky texture. There are usually two or more blooms per stem. Cyclamineus Daffodils-- One flower to a stem, perianth significantly reflexed and corona straight and narrow. flower at an acute angle to the stem, with a very short pedicel (neck). 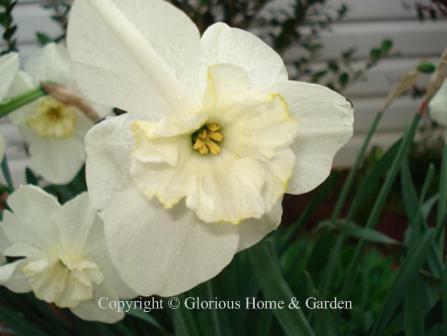 Jonquilla Daffodils-- Usually several flower heads to a stem, flowers usually fragrant, stem is round in cross-section and foliage is often rush like. 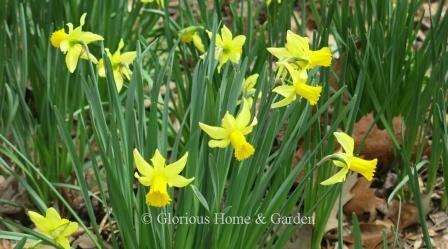 Tazetta Daffodils-- Usually three to twenty flowers to a stout stem, sweet scented and very short cupped. Perianth segments rounded and often somewhat crinkled. 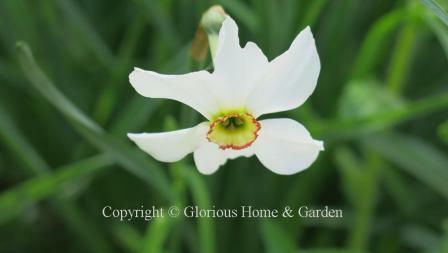 Poeticus Daffodils-- Usually one flower to a stem. 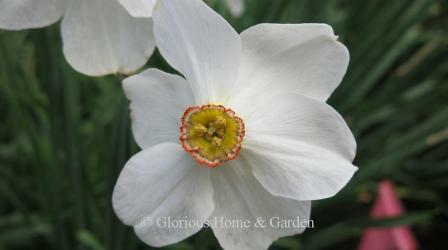 White petals sometimes stained with the corona color at the base, small flat cup edged with red. Fragrant. Bulbocodium Hybrids-- Small flowers resemble a “hoop petticoat” form. 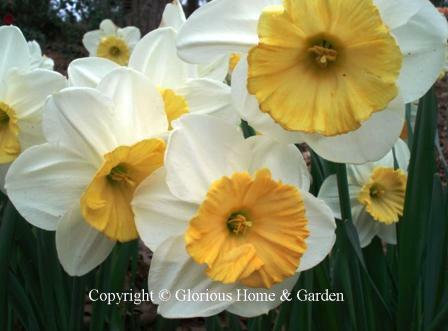 Split-Cupped Collar Daffodils-- Split-corona daffodils with the corona segments opposite the perianth segments; the corona segments usually in two whorls of three. 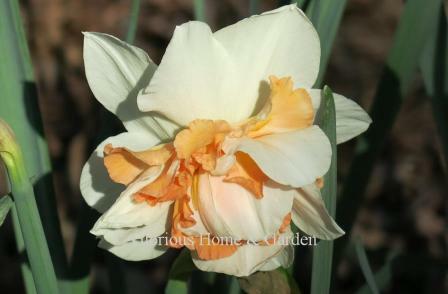 Split-Cupped Papillon Daffodils: Split-corona daffodils with the corona segments alternate to the perianth segments; the corona segments usually in a single whorl of six. 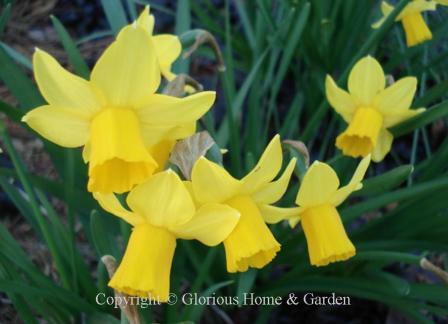 Miscellaneous Daffodils-- Division 12 consists of daffodils not falling into any of the previous categories. Many are inter-division hybrids. 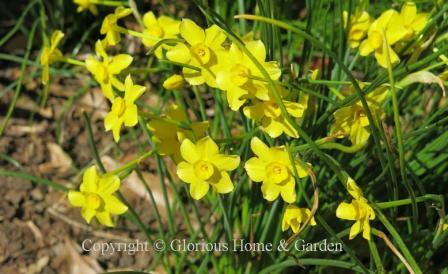 Species, Wild Variants and Wild Hybrids--Division 13 consists of the wild, natural daffodils. 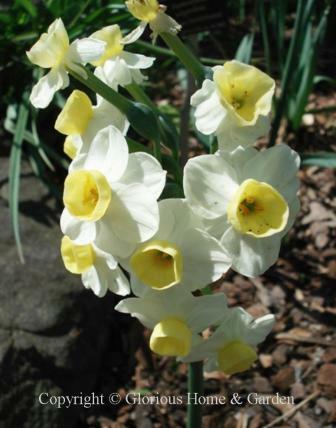 For more information about daffodils, visit the American Daffodil Society at www.daffodilusa.org .